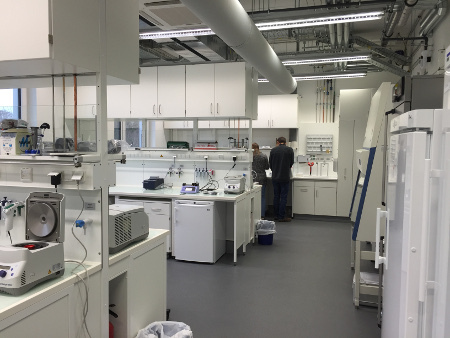 The Max Planck Institute for Terrestrial Microbiology has recently expanded significantly through a very nice new building - see below! 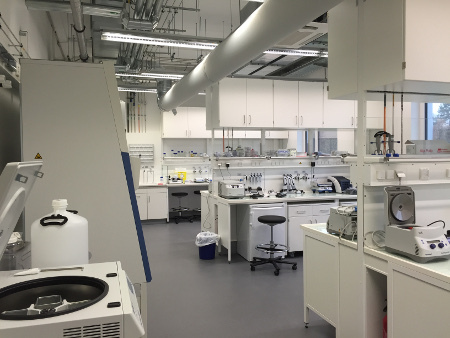 Our lab is in this new building, where we have ~1/2 of the 2nd floor. The building has JUST been finished. We are the first users of this new building, which is quite new and shiny from the inside. 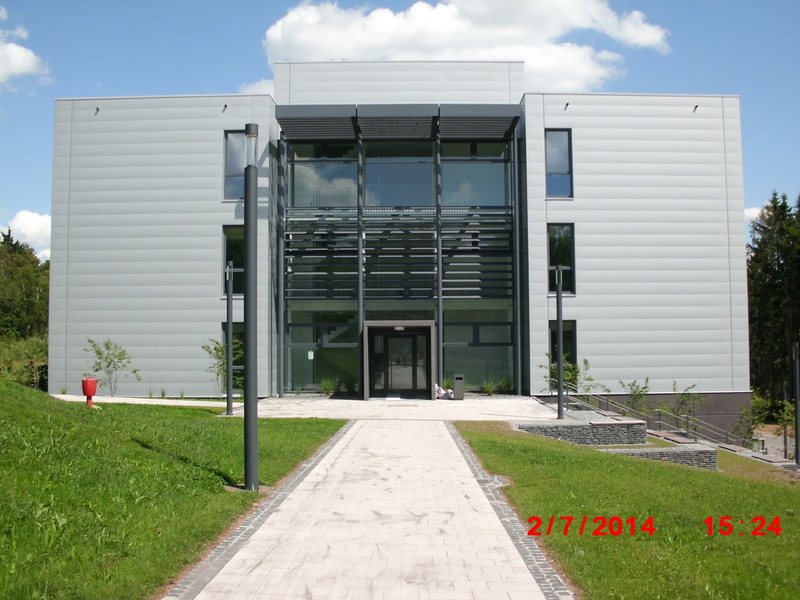 The new MPI building is right between the old MPI building, the SYNMIKRO Center for Synthetic Microbiology, and the Departments of Biology and Mathematics and the new Chemistry building of the University of Marburg. The (large) university hospital and various clinical research centers are also very close by, including the BSL-4 lab of the Institute of Virology, home of the Marburg virus!